Tom Smith is the President of Gold Crown Properties, Inc. and the Chairman of the Board and President of Chapin Properties Inc. in Overland Park, Kansas. Tom has an extensive background in real estate management and acquisitions, devoted almost exclusively to the multifamily industry. 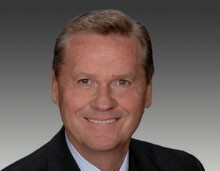 In 1976, he was the founder of Gold Crown Properties, Inc., of Kansas City, which, in just six years, became the fourth largest multifamily management company in the United States, managing almost 20,000 units in 22 states and 35 cities. During his career, Tom has been involved in the ownership and management of more than 40,000 multifamily units, nationwide. He is often asked his opinion regarding project feasibility, property value and assessment of management and marketing issues. Under Gold Crown / Chapin properties, he established a team of professionals to engage in offering their property management services to rent and income restricted properties as well as conventional Class A multifamily assets, including the conversion of luxury apartments to condominiums. Generally, he has developed one of the most comprehensive resumes in the country with regard to multifamily acquisitions and property management. Tom is a graduate of Kansas State University in Business Administration with a major in Finance and minors in Mathematics and English; and is a licensed real estate broker in both Kansas and Missouri. He has lived in the Kansas City area since 1973.